You'll be £19.99 closer to your next £10.00 credit when you purchase The Suffering of Women Who Didn't Fit. What's this? The book exposes the agonies of life for the 'second class' gender; from misdiagnosis to brutal oppression, seen as in league with the Devil or the volatile wretch. Touching no less than six centuries, it recalls how, for a woman, being labelled as mad was much less a risk, more her inevitable burden. 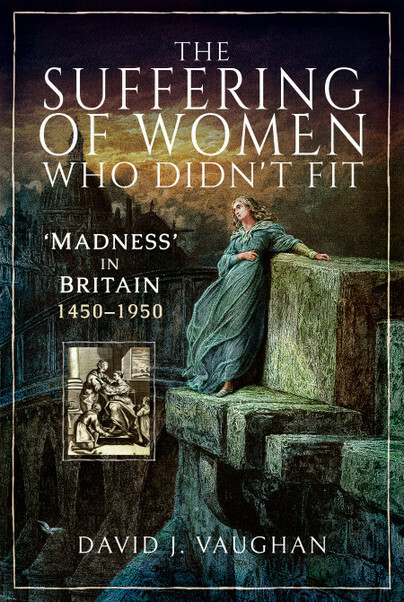 I’d certainly recommend this book to anyone with an interest in women’s history or perhaps ‘madness’ in history. It’s amplified while wandering through time within topics... of women labelled as being nervous, more emotive, less predictable, vulnerable, prone to hysterics, and how treatments have evolved over time.